Relax. Jesus Is Bigger Than Your Problems. : When Life Threatening Situation Met with the God Kind of Faith, What Happens Next? I'm the author/artist and I want to review Relax. 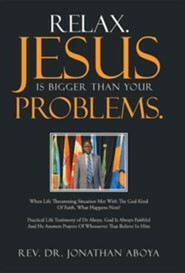 Jesus Is Bigger Than Your Problems. 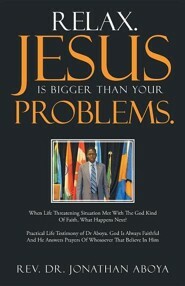 : When Life Threatening Situation Met with the God Kind of Faith, What Happens Next?.